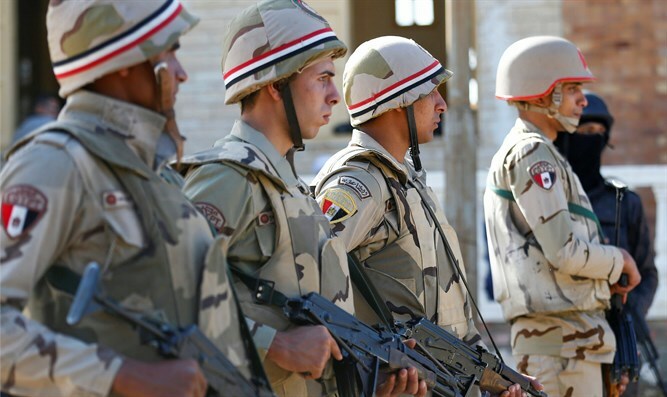 Egyptian security forces kill 14 jihadists as operation against Sinai terrorism continues. Egyptian security forces have killed 14 jihadists in an exchange of fire in the country's northern Sinai region, the interior ministry said Sunday, according to AFP. The militants were under surveillance ahead of security forces raiding their hideout in the town of El-Arish, the ministry said in a statement. An exchange of fire lasting several hours killed eight of them, the ministry said without detailing when the raid took place. The other six attempted to flee but were killed in a police chase. Those killed were suspected of planning attacks on "important and vital facilities", armed forces and police personnel, the interior ministry said. The country has been under a state of emergency since April last year, after two suicide bombings at churches claimed by ISIS killed at least 45 people in the cities of Tanta and Alexandria.